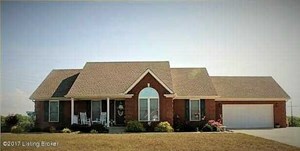 Beautiful brick ranch home with gorgeous view from back deck in Valley Way. Finished walk out basement with kitchenette. Click to schedule your showing.